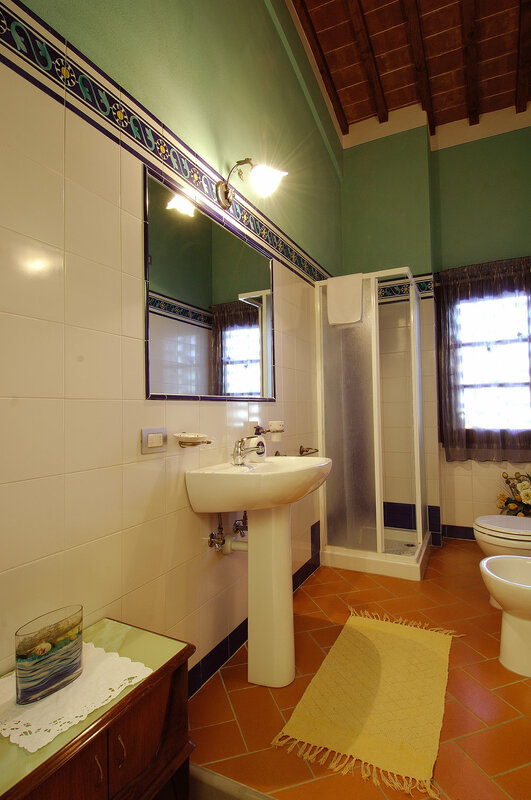 Apartment Corte 1 is surprisingly spacious and has air-conditioning, a washing machine, a dishwasher and satellite TV. On the ground floor you will find a large living room, the kitchen and a bathroom. On the first floor the two bedrooms and a second bathroom. 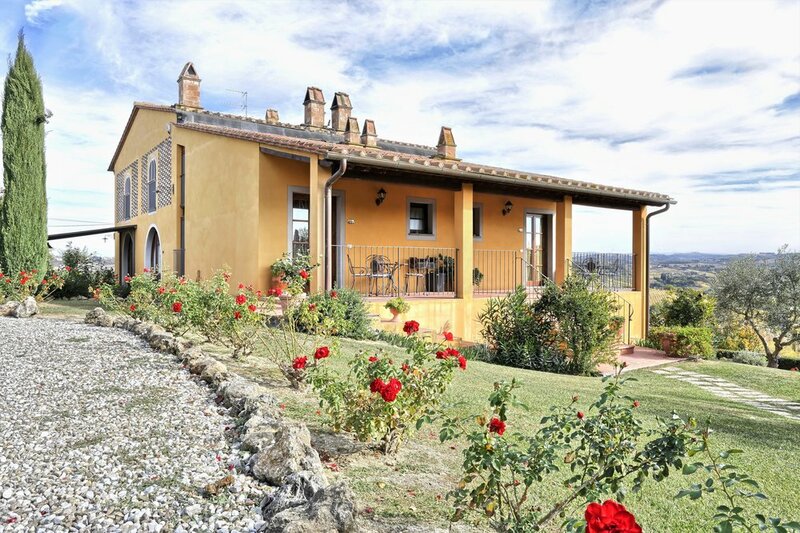 In front of the house you have your own, well furnished terrace and a small garden. 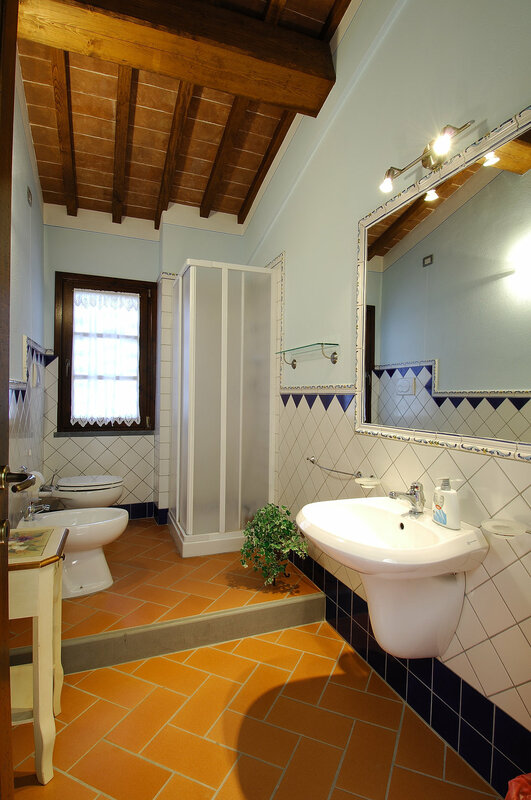 The holiday home Corte 2 is almost identical to Corte 3 and has a bedroom and a living with a kitchen. 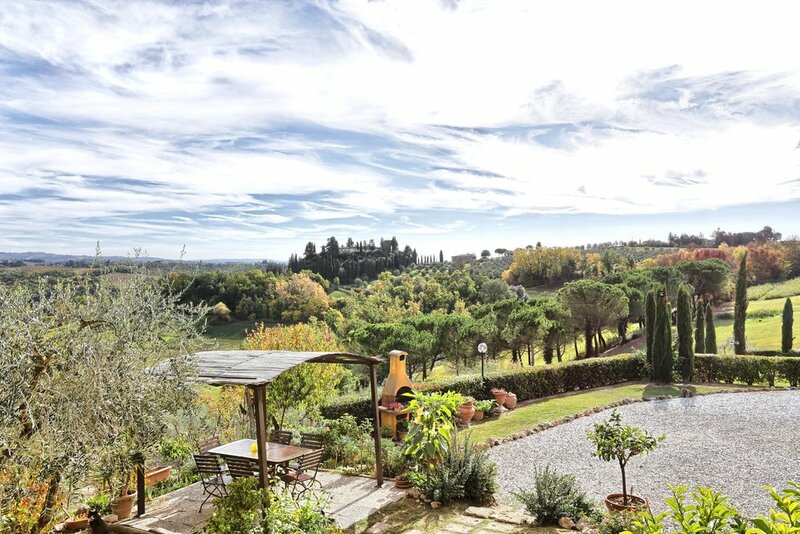 The furnished terrace in front of the country house offers a beautiful view over the hills of Tuscany. The swimming pool is close to the apartment. 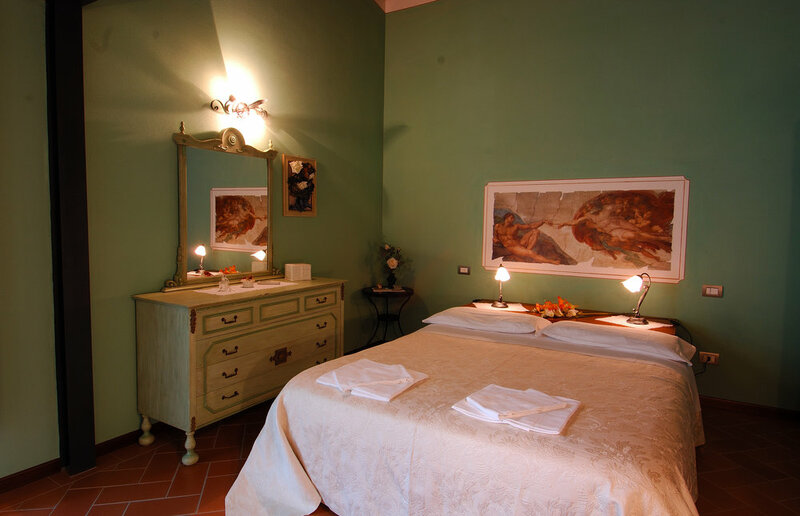 The holiday home Corte 3 is almost identical to Corte 2 and has a bedroom and a living with a kitchen. 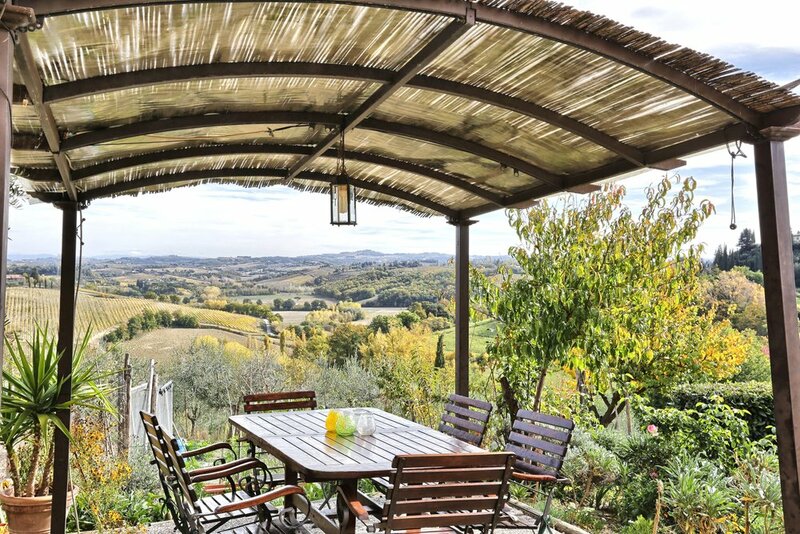 The furnished terrace in front of the country house offers a beautiful view over the hills of Tuscany. The swimming pool is close to the apartment. Corte 4 has three bedrooms and is suitable for a family of 6 up to 8 persons. The living room with fire place and kitchen are situated on the ground floor, the bedrooms are divided over the first and second floor. 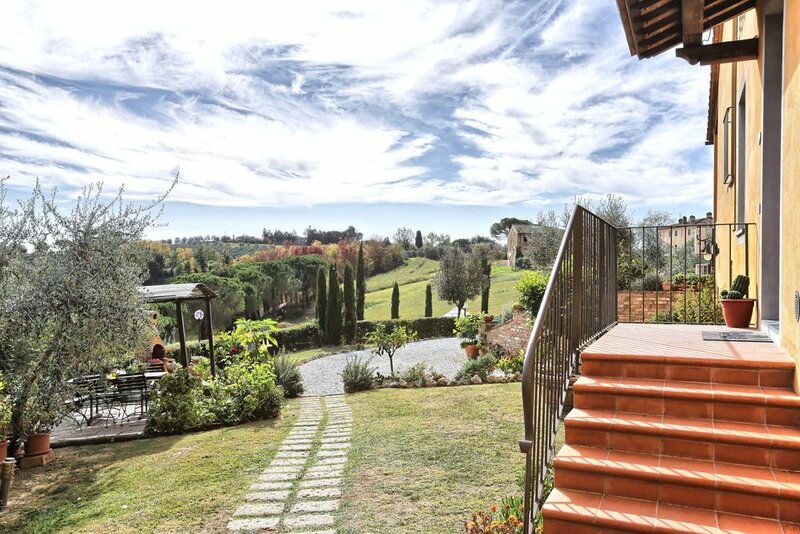 This house offers comfort, a private terrace and lies close to the swimming pool.